After several sweet recipes in a row it is time to make something savory. 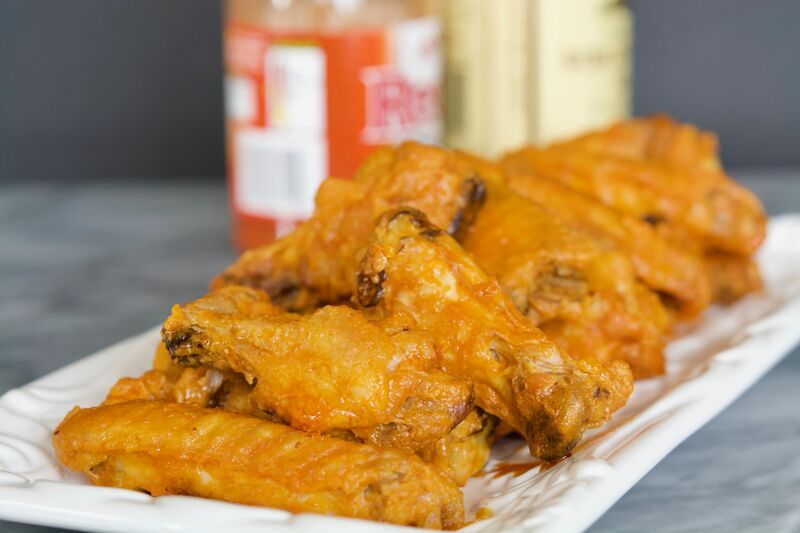 A lot of you have been requesting more appetizer recipes and what could be better than making crispy delicious Buffalo chicken wings? Which by the way, they’re my husband’s favorite, who is a complete chicken wing addict. There is absolutely no science behind deep frying chicken wings because all you have to do is fry them in lots of oil, which is what makes them so delicious. Making oven baked crispy chicken wings is a different story. You could bake them in the oven with a little bit of salt and pepper and they will come out really tasty but not crispy. So how do you get that crispy texture? Simple, you add baking powder. And the reason for that is because it not only helps brown the skin better, but it also thins it out making it nice and perfectly crispy. I usually season the wings with a little bit of salt and pepper if I plan on serving them without any sauce, otherwise I just skip that step. 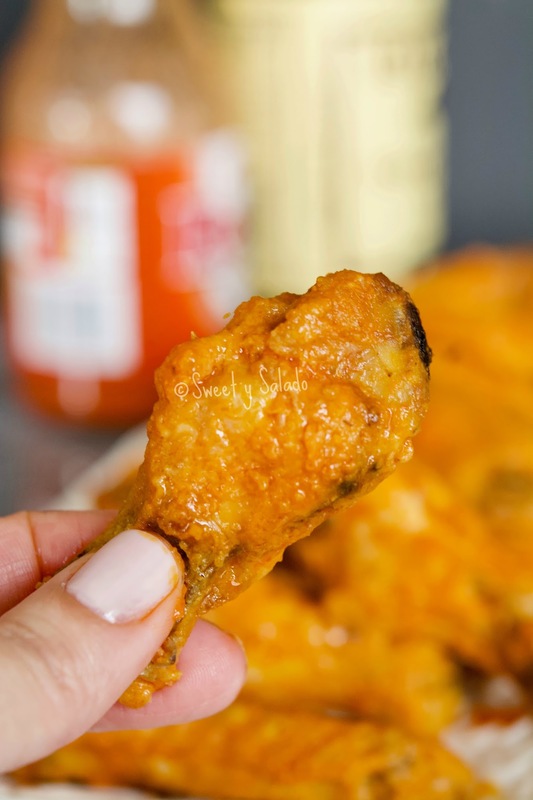 In this recipe I included the steps on how to make a basic Buffalo wing sauce that is incredible. If you guys interested in seeing more sauce recipes to serve with your chicken wings, just let me know and I’ll make sure to make some for you. 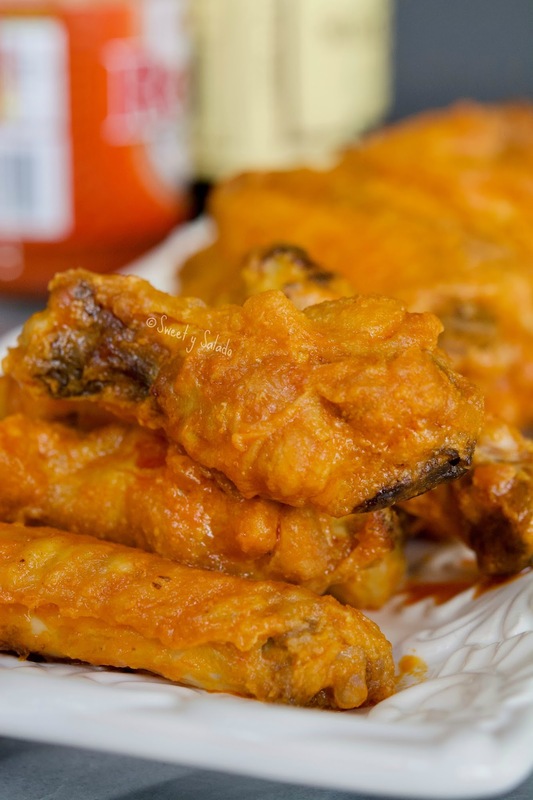 Dry up all the chicken wings with paper towels to make sure they are completely dry. Place them in a large bowl and cover them completely with the baking powder. If you're not going to toss them in the sauce, you can add salt and pepper to taste. Place a cooling rack on a baking sheet covered with aluminum foil and spray it with cooking spray. 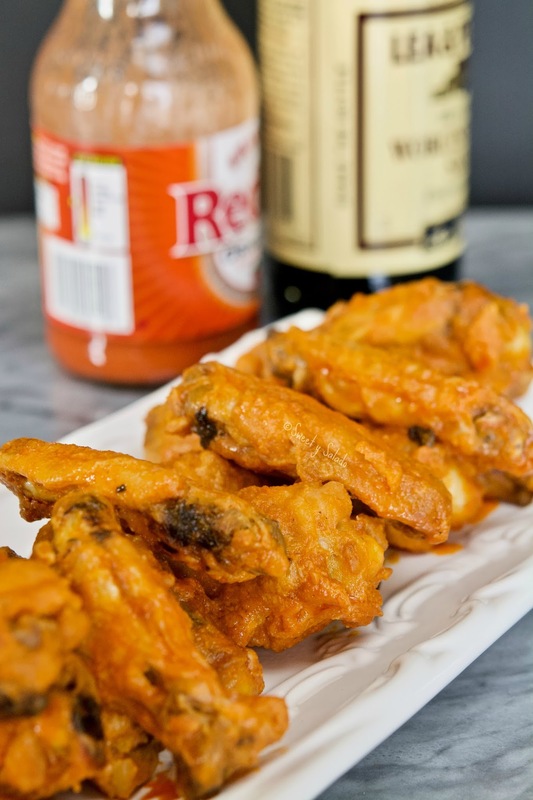 This step is optional but it does help prevent the chicken wings from sticking to the rack. Place all the chicken wings on the rack and bake for about 50-60 minutes or until they're golden brown and no longer pink on the inside. Make sure to turn them over halfway during baking. In the meantime, mix all of the ingredients for the sauce (hot sauce, butter, vinegar, Worcestershire sauce, garlic powder and cayenne pepper) in a medium saucepan over medium heat and simmer for a couple of minutes until everything is well mixed. Remove from the heat and set aside. Once the wings are ready, place them in a large bowl and add as much or as little sauce as you want and toss them to cover them well. Serve immediately. Hello ginny, I'm not familiar with "money bbq" wings and did a search online and didn't find anything either.